Sorry our website is closed at the moment. Please contact us via telephone 01214393993. Thank you. If your order is late, incorrect, or you're not happy with the food, please contact the takeaway directly on 01214393993. 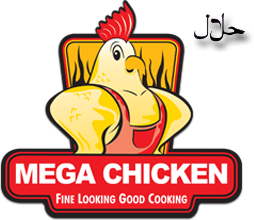 If you paid online and require a refund, and you're unable to contact the takeaway please contact Datman LTD on 01534 876163 who will attempt to contact Mega Chicken in order to resolve your request.